Warm up your skin tone with our NAS Cosmetics Bronzer . 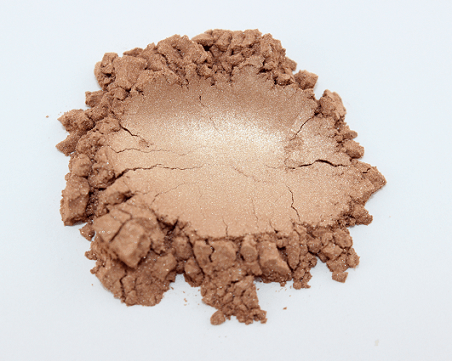 Stunning on your cheek bones with it’s unique gold highlight, this Bronzer works magic with its ability to create an incredible sun-kissed radiance to your décolletage, hiding any developing fine lines. All skin types will enjoy playing with this product! This bronzer looks so natural and doesn’t give you that ‘orange’ look. I adore this bronzer! It is the most perfect colour money can buy and blends perfectly into my skin. Most importantly, it lasts all day! It is definitely my favourite and it is the only bronzer I would consider wearing. I heart NAS Cosmetics. We’re so pleased you like it Simone. It has the most stunning pigmentation ever!